Personalised Motorola Moto Z Force case. 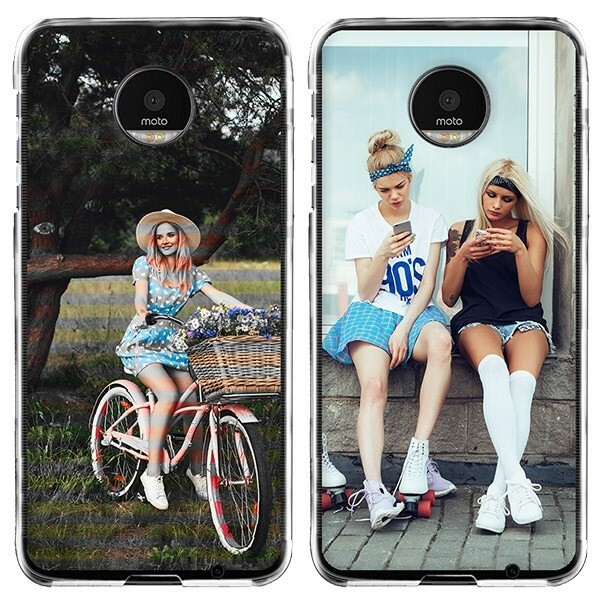 Personalise a silicone case with your own photo. The silicone case protects your smartphone. Have you just bought a Motorola Moto Z Force, or do you know someone who ordered it? Then you definitely need a case for it. Like any new smartphone, the Motorola Moto Z Force is very vulnerable to damage. It just has to fall to the ground once and the screen of your new smartphone could already be cracked. This is why you can design a mobile phone case for your Motorola Moto Z Force, which will not only give your Motorola Moto Z Force protection, but also turn your phone into an individual and stylish item. 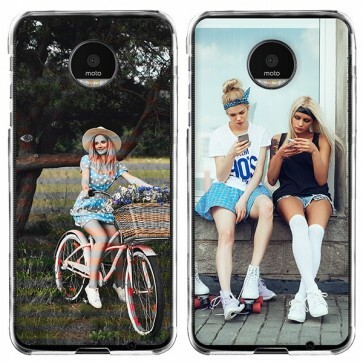 With your own design or photo you can make your smartphone unmistakable. Would you like to give a case to a good friend as a present? This is not a problem! Either you create a design for them or you give one of our giftcards, with which your friend can place the order themselves. In any case, your gift will be very personal and thoughtful with such a cover! How does the customiser work? You only need a few minutes to design your Motorola Moto Z Force case. We will explain the procedure here in a few short steps. There are different ways to create your Motorola Z Force case. You can choose any photo of your liking. 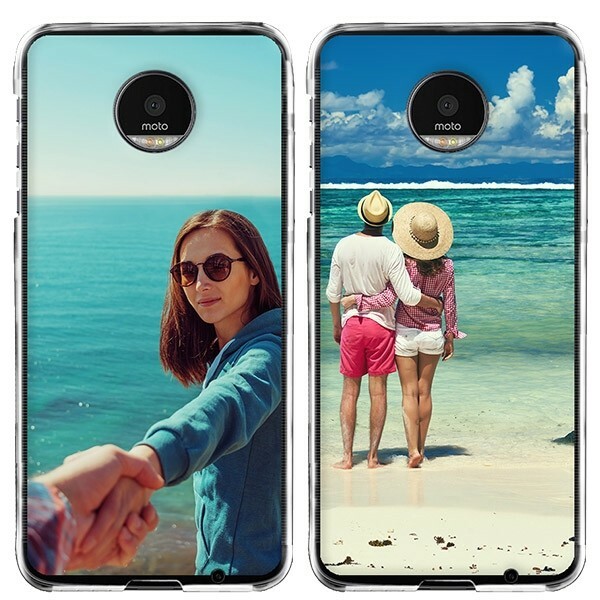 Photos from holidays, pictures with friends, a drawing, or your pets are all motifs that are suitable for printing on your Motorola Force Z case. And if you don't have any pictures on your computer? It does not matter! You can also upload images and photos directly from your Facebook or Instagram account or choose one of our designs. After selecting the colour of the Motorola Moto Z Force case and uploading the picture, you can reduce it, enlarge it, or rotate it. You can choose to include personal text, e.g. Add a quote or date to make your case even more unique. Designing a mobile phone cover is easy! How can I order my case? Have you completed your personalised design for your new Motorola Z Force case? Then you can start the ordering process. First, click the "Add to Cart" button, check the case model and the design. If everything looks right, go to "checkout". On the next page, you can enter your full address to which the package should be sent. In addition, you can choose the shipping method and one of our secure payment methods such as PayPal, Credit Card or Instant Transfer. If you received a discount code from the newsletter or as a gift, you can paste it here as well. When all data is complete, you can place your order. Once your payment has been received, we will get right to working on your Motorola Moto Z Force case to get it to you as soon as possible. For further questions please contact our support by e-mail: support@gocustomized.co.uk.